“Making proven technology even better”. This is the motto under which the EML 200 range was revamped and improved (Fig. 1). 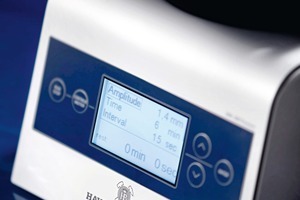 The HAVER EML 200 Premium offers practical innovation – it is much quieter than its predecessor model and so allows comfortable work in the laboratory environment along with high performance. Moreover the damping system has been overhauled. The transmission of vibrations to the base is strongly reduced by an improved damping system. The extra-large display provides a good overview and lets the machine to be operated intuitively (Fig. 2). 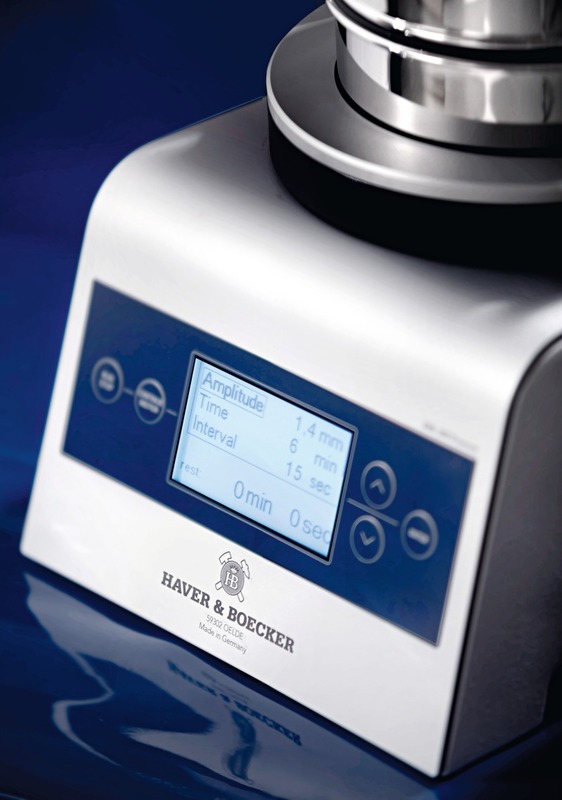 With wet screening the HAVER EML 200 Remote comes in operation with the proven external control unit and is flexibly placed in the laboratory. 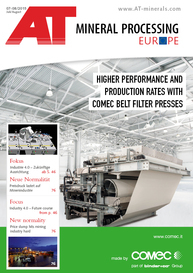 The cover’s function and design were optimized. The wide-spreading spray diffuser was elegantly integrated in the cover and so handling is improved. The viewing-glass-equipped cover allows normal observation of material during the sieving process. Also here the large display goes to work. In addition to the Premium version, there will also be the HAVER EML Pure. 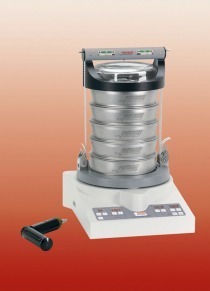 The new test sieve shaker offers complete clarity in operation. In addition to the timer setting and the amplitude assignment of coarse or fine, no further adjustments are necessary to start the sieving process. The new HAVER EML Pure is highly suitable as the basis model for standard analyses. 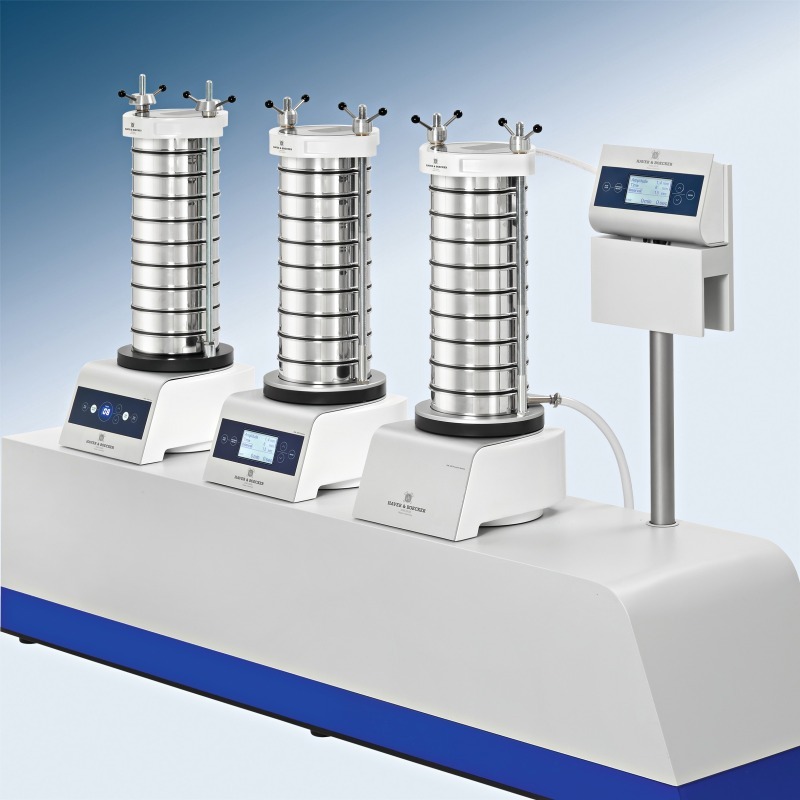 All three test sieve shakers operate independently of power supply and frequency, and thus can be used without transformers worldwide. 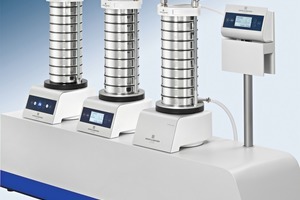 The HAVER EML 200 series is suitable for analysis sieves up to 203 mm in diameter and for a maximum sample amount of up to 3 kg. 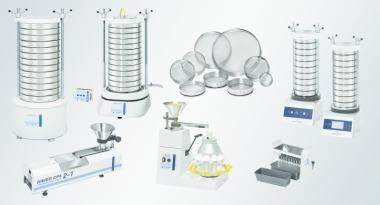 The new HAVER EML 200 generation of laboratory test sieve shakers will replace the current EML 200 digital plus generation of HAVER test sieve shakers beginning in the 4th quarter of 2015.